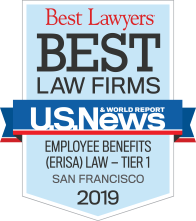 Plan fiduciaries, such as trustees, plan administrators, administrative and investment committees and company officers and directors are governed by strict and complex ERISA rules and Department of Labor regulations. Trucker Huss assists our clients in carrying out proper corporate and plan governance as well as compliance with the fiduciary requirements for plan investments and administration. Our objectives are to help our clients fulfill their fiduciary responsibilities, serve their employees well and avoid litigation and other claims. 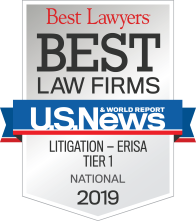 As a law firm focusing exclusively on employee benefits, we bring our extensive experience in ERISA compliance and ERISA litigation to every consulting situation. For more information regarding this area of the Firm’s practice, please contact Brad Huss, Nick White, Robert Gower or Katuri Kaye.